The backside of Spaceship Earth with the Fountain of Nations. 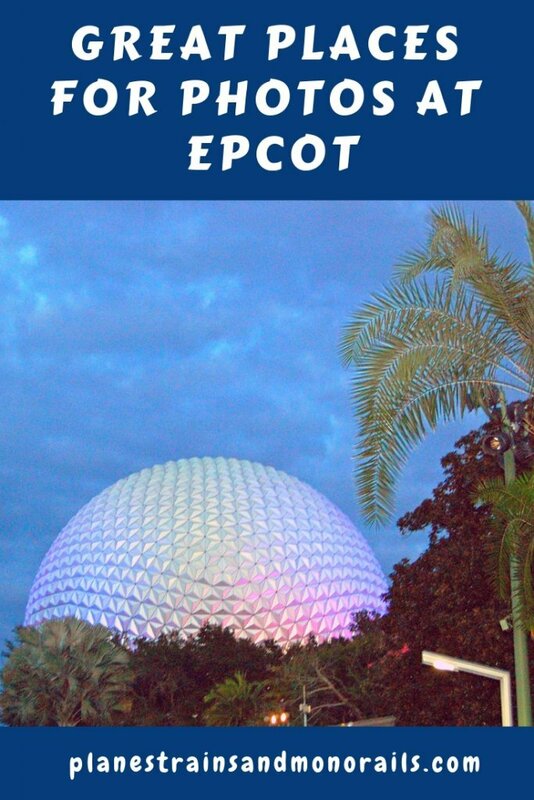 Spaceship Earth is the icon of Epcot. Therefore, it’s no surprise that it is probably the most photographed location in the park. 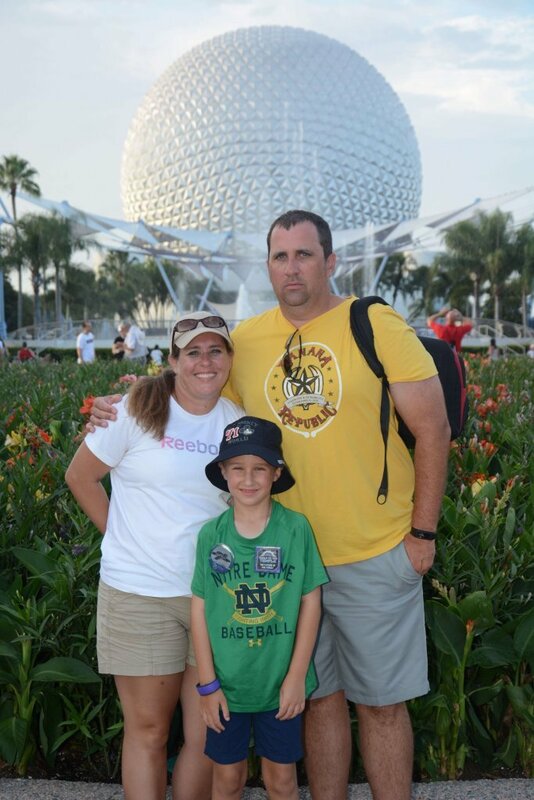 Like the castle in the Magic Kingdom, taking your family’s picture in front of Spaceship Earth is something that you must do at least once per trip. For a different perspective, try taking this photo from the backside of Spaceship Earth. This way, you can get the Fountain of Nations in the photo too. Or, you can take it from the World Showcase side of the park. This way, you will get World Showcase Lagoon in the picture with Spaceship Earth in the distance. 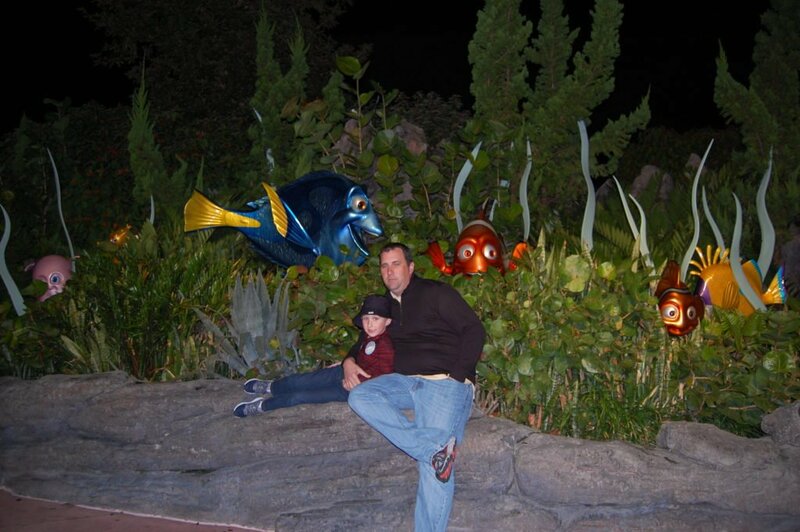 One of the cutest pictures you can take in Epcot, especially if you have little ones, is with the Nemo and friends statues out in front of The Seas with Nemo and Friends. 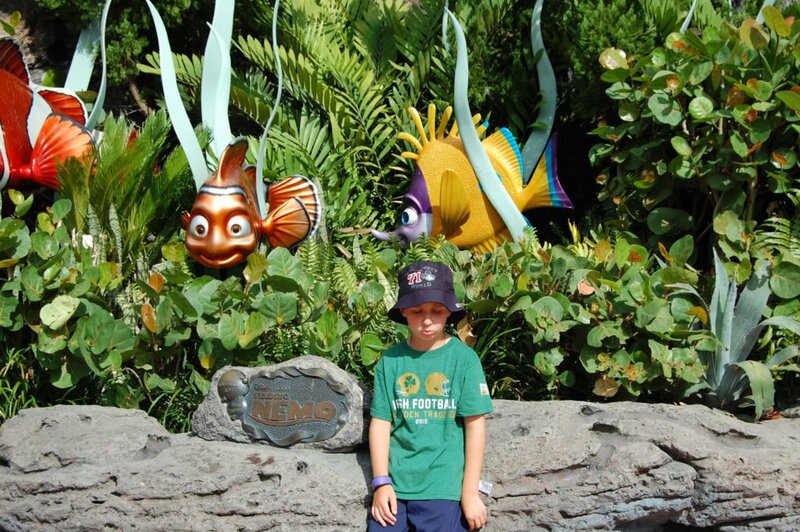 These playful fish are tucked into some shrubbery as you approach the pavilion. The only problem with this location is that, on busy days, it can be difficult to get a picture without other people in it. Try taking this one at night when there are less people in the area. Inside of The Seas pavilion, after you have exited the ride, you will find yourself in an area with several aquarium exhibits. In one corner, you will see Bruce’s Sub House. The focal point of this section is a huge Bruce with his mouth open. 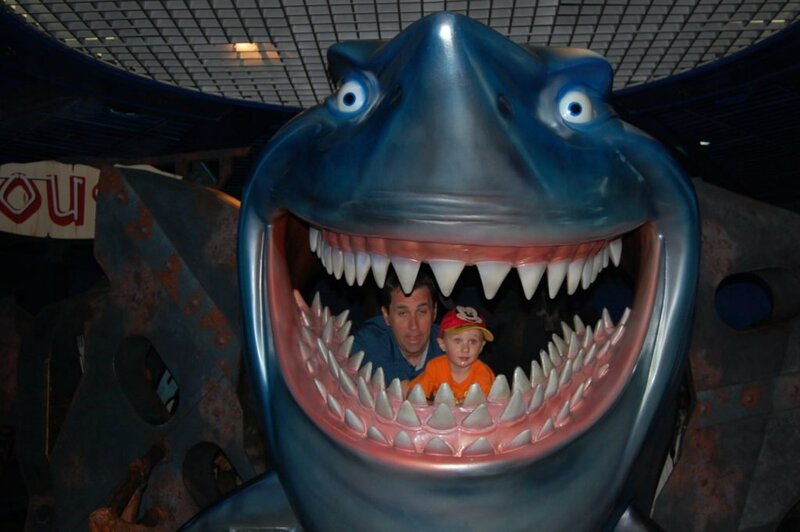 You and your family can take your picture inside of Bruce’s mouth! This is always a fun picture for the kids! 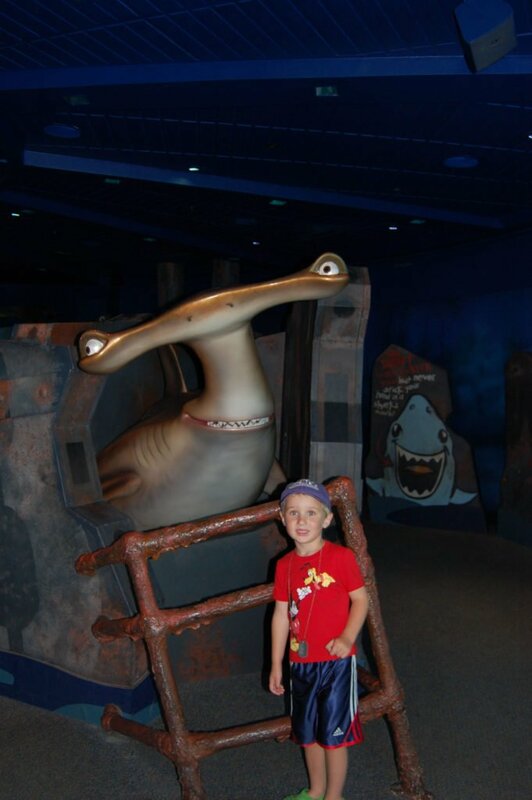 There are a few other photo ops with sharks in here too. 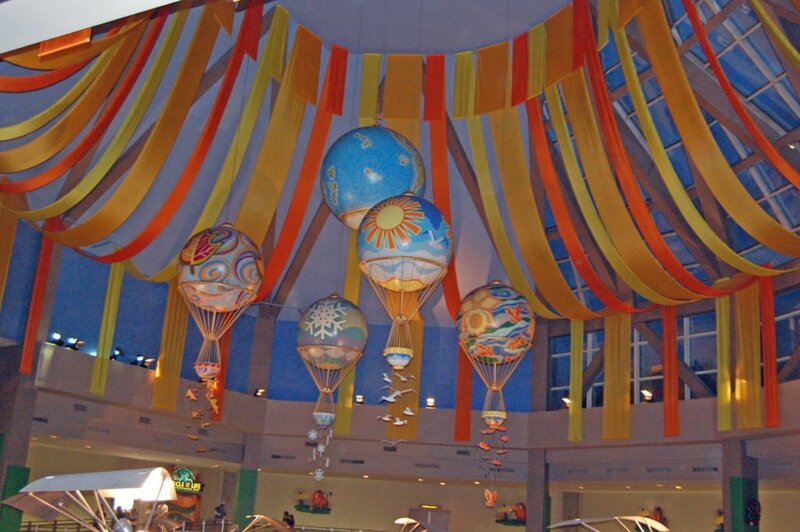 In the center of The Land pavilion, you will see several hot air balloons hanging from the ceiling. They hang over the seating area for Sunshine Seasons. From the upper floor of the pavilion, you can get a more straight on view of the balloons. This is a great place to get a unique photo of your family. 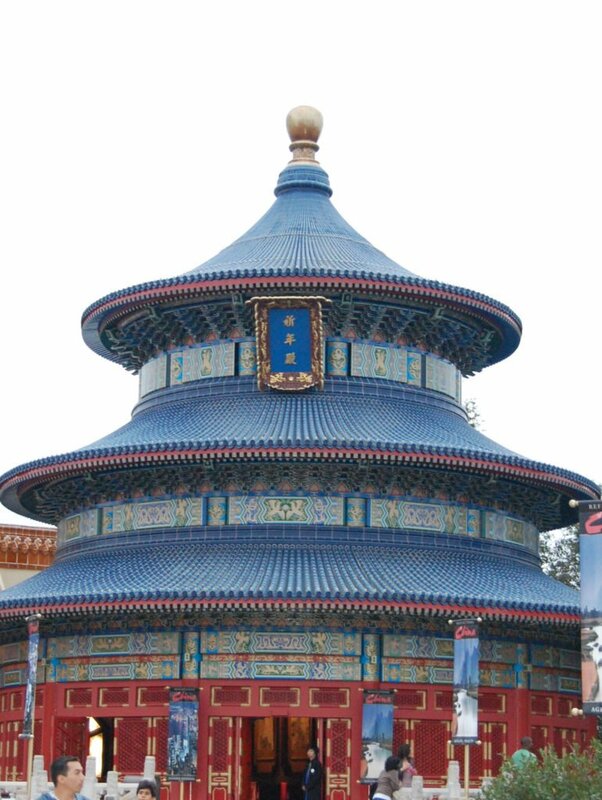 Each of the eleven countries of World Showcase has a replica of one of that country’s famous landmarks in it. 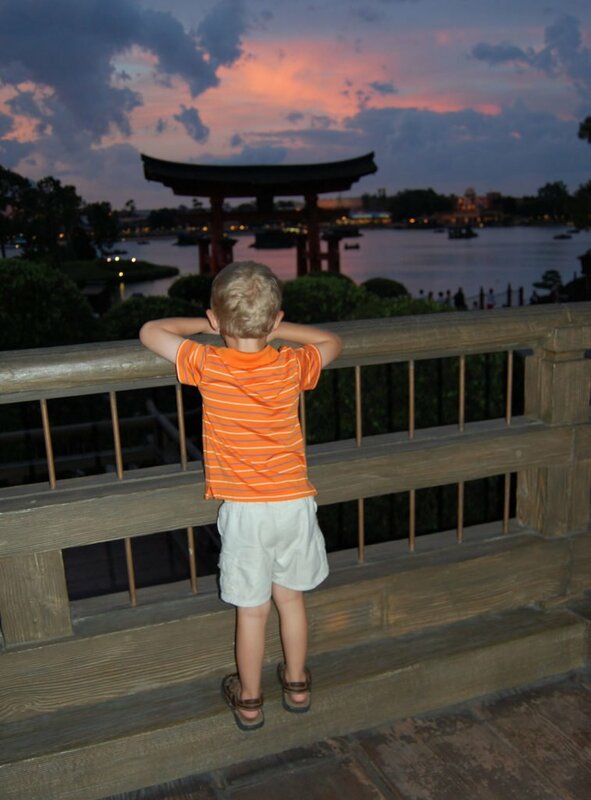 As you work your way around World Showcase, take a picture of your family in front of each of these landmarks. You could also use this as an opportunity to teach your kids about these landmarks. While working your way around World Showcase, you will probably find some fun little details in each of the countries. 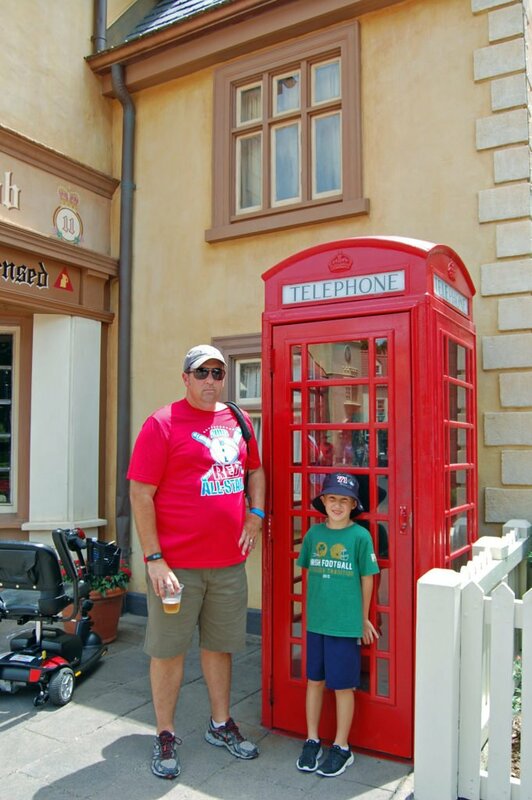 In the United Kingdom, you will notice a few bright red telephone booths. Some of these open and some don’t. Either way, the phone booths make for some silly photos. And you can explain to your kids what it was like back in the old days before cell phones! Like all of the parks, Epcot has lots of nooks and crannies filled with little details that make for great photos. This list is, by no means, exhaustive, but it should give you a great start on finding interesting places to take pictures. While it is always fun to take pictures with the icons and popular places within Disney World, it’s nice, too, to mix it up a bit and get some of these lesser-known areas of the parks. I hope this list gives you some ideas of great places for photos at Epcot that you can use on your next trip. For help planning your Disney World trip, see my step-by-step guide, quick tips, and best resources. To book your trip, visit Disney World’s website. If you are looking for things to do in Epcot, see my magical must-do’s in Epcot’s Future World and World Showcase. 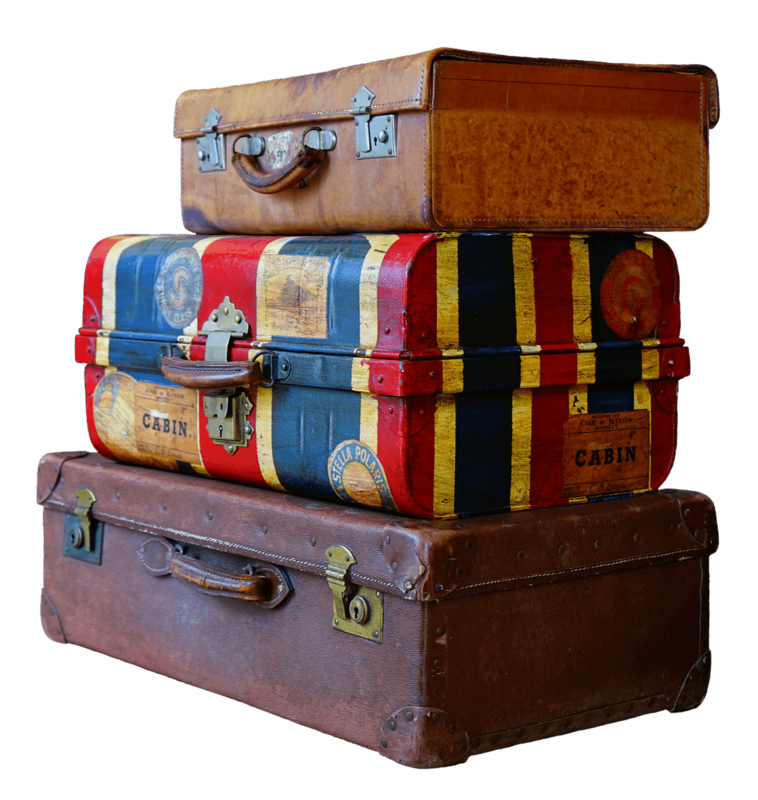 Happy travels.